Instant Quotes and Get approved in 5 minutes or less. One of the most affordable on the market. Simple online application with Instant Approval. 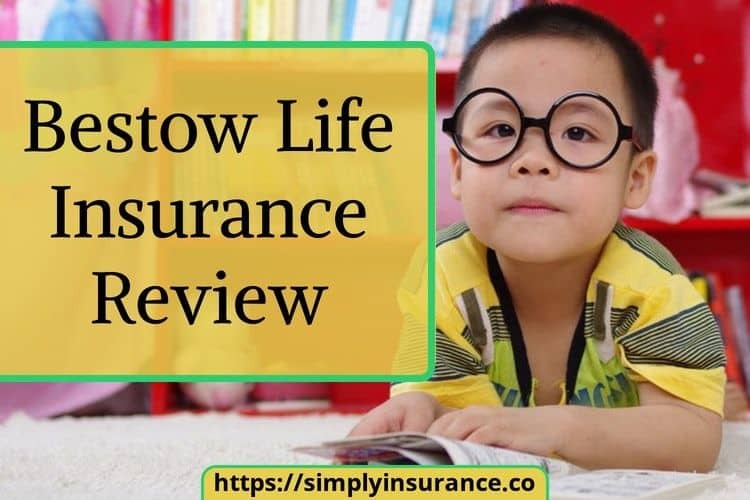 Summary: Bestow Life has come out of the corner swinging with its ​Accelerated Underwriting, No Exam, life insurance product. There is no other product on the market like Bestow when it comes to Instant Approvals and No Exam. I think it is going to unseat most of the heavy hitters and make a large ​number of companies re-think how they underwrite insurance. ​However, they are only in a few states at the moment and don't have a 30 year term option either. This is why I put this Bestow Life Insurance Review together, to help you understand if this product is best for you and how it works. To help you see how ​fast and straightforward Bestow Life makes it for you to apply for life insurance online and get instant approval. Enjoy! GET A FREE QUOTE & INSTANT ​DECISION TODAY! *Rates based on a female in her mid 20's, 2 Year Term, $50,000 term policy in excellent health. What Does Bestow Life Insurance Cover? If there was one option I wish I had when I first started looking for life insurance it would have been a no exam life insurance policy. The one issue with purchasing life insurance has always been the process. With some companies, it could take up to 75 days to get covered and with others maybe 1 to 3 weeks like it took in my case. Taking three weeks to get an answer on approval is still too long and that long wait time is a part of what makes purchasing life insurance a complete hassle. But, there is a new answer to getting life insurance, one that allows you to get life insurance with no medical exam and apply instantly online for coverage. In the age of Alibaba and Amazon, it was only a matter of time before life insurance caught up and Bestow is the answer. Bestow life was founded in 2016 by a band of finance experts, tech specialists, and licensed agents. However, they are backed by some of the largest insurance companies in the industry. Their policies are underwritten by North American Company for Life and Health Insurance. North American has been around for over 100 years and was founded in 1886, as of today North American holds an A+ (Superior) rating with A. M. Best. GET A FREE QUOTE & INSTANT APPROVAL TODAY! Bestow has designed a brand new underwriting framework and built a first-of-its-kind experience for life insurance. They plan to bring life insurance within reach for more people than ever before by making their process affordable and fast. ​No other company ​has an underwriting platform that is designed to function the way Bestow has set theirs up. You will be able to get a quote, get approved and pay for your policy within 5 to 10 minutes. This is truly unheard of in the life insurance industry and while some companies claim to offer "no exam" or "instant approval." Bestow is the only company that has actually created both the systems and the underwriting technology to be able to offer a "True" No exam, simplified issue, instant approval and fast life insurance product. You are probably asking yourself why anyone would need a 2 year term life insurance product and also why anyone would offer it. This is probably one of the best offerings since Amazon Prime, Netflix and yes, the good ole Sliced Bread. Bestow is the ONLY company that offers a 2 year term life insurance policy. Bestow's 2 year term life insurance policy gives you a solid amount of options and opportunity when it comes to how you manage your finances and life events. The three main reasons people decide against purchasing life insurance is because of inconvenience, cost, and eligibility. The best thing about a 2 year term life insurance policy is that it's very affordable, only a few health questions are required for approval and Bestow doesn't require you to take a medical exam. There is no reason to go without coverage when there is a 2 year term option, it gives you the ability to be covered while still finishing up school, preparing for marriage or having a baby. In the end, any coverage is better than no coverage at all. 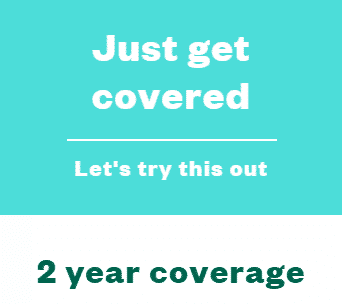 If you have been thinking about getting coverage and don't know where to start or don't have lots of time to figure it out, a 2 year term life policy from Bestow is your best option! GET YOUR ONLINE NO EXAM QUOTE TODAY! According to Bestow, they completely re-engineered the buying experience for term life insurance to be super simple and more affordable. You can apply and get an instant decision in less than 5 minutes. Unlike other online life insurance providers, they actually underwrite the policies they offer in-house with our own technology — accelerated underwriting. This part of the process is straightforward, you are going to answer a few questions about your lifestyle and health through their online application. Once you do that, Bestow’s in-house underwriting platform will instantly process that data through their encrypted channels ​through a method called accelerated underwriting. This in-house framework enables Bestow to ​adequately assess your individual risk, without a medical exam, to get an instant underwriting decision. If you are Approved, you will get real rates, not quotes, at an affordable monthly price. We talk more about their super fast underwriting process and rates later in this review. In today's society, most people would prefer ​not to get 100 phone calls because they wanted to get quotes. However, there are going to be times when you need to speak to someone, and you want to be sure that they are sincere and that they give you information for your own benefit. Luckily, Bestow doesn't have commissioned ​agents so you can be sure that they will take their time to help you and won't pressure you into anything. You can always apply to change policy types or coverage amounts during the term of your policy. This is a great option because it allows you to make changes to your policy based on your life events. If you get married or have a baby or lose your job or get a divorce, you can make changes to your policy accordingly. Currently, ​Bestow only offers payment by credit card. Payments will be automatically drafted every scheduled payment day until the term is done or the policy is canceled or replaced. ​Traditionally most life insurance companies only accept monthly bank draft as an option for payment. Features like this make this the best life insurance policy to buy. I wanted to make sure that you could see with your own eyes how fast this process can be. Now that the product is in the state of Georgia, I have personally gone through the process and it was super fast. BUY YOUR LIFE INSURANCE IN UNDER 5 MINUTES, TODAY! I do want to note that the monthly premium payment did change from what I was quoted from $10.83/month to $19.50/month. Remember, your height and weight hold a factor in your quote. Me being 5'8 and weighing 185 lbs puts me at a Body Mass Index or (BMI) of 29 (Overweight). Now, while I am in very good shape and go to the gym, the insurance company doesn't calculate "5'8 and 185 lbs of lean muscle". So I could have been well outside the height and weight guidelines for that $10.83/month price. It is important to keep that in mind so that you don't feel like you were bait and switched. Your initial quote is just that... A Quote, you won't have an actual answer until you go through the process. And guess what, it doesn't cost anything to apply. ​Bestow life offers 3 different policy options for you to choose from. ​​​​​The two year term life option is going to cover you for 2 years before you have to purchase a new policy. This policy is going to be the most affordable and be best for people who are still trying to figure out their insurance needs but need more time to make a decision. If you are a procrastinator, just started a business or a stay at home spouse who needs a bit more time to do research, then this option is best for you. ​​​The ten year term life option is going to cover you for 10 years before it's time to purchase a new policy. This policy is going to be the second most affordable option with mid-range pricing and will be best for people who are looking at their short term and long term needs. The amount of life events that can happen in 10 years is massive and being prepared for them is very important. A 10 year term is a great starting point and locking your low rates in is going to be ​essential. ​​​The twenty year term life policy will be the most expensive of the 3; however, it will still be very affordable. ​This term length is going to be best for someone focused very much so on their future and want to be covered for the ​most extended period of time with the maximum amount of savings. The longer a term length a policy has, the more expensive it will be up-front; however, the more savings you will get over time. If you know what you want and can afford the twenty year term option, then I would suggest you go with the 20 year term option. ​​​All of these policies will pay out for all types of death from accidental death, terminal illness, critical illness or chronic​​​​​​​​ illness. ​With all insurance policies, there are some limitations so be sure to read the policy for things that aren't covered. ​Bestow uses a process called algorithmic underwriting. Algorithmic Underwriting is a fast and inexpensive approach to understanding what type of risk the insurance company will assign to you. ​These risk values range from healthy to no healthy. Instead of an actual person, (which is called an underwriter) reviewing your application and waiting for lab results, a rules-driven decision engine (the “algorithm”) reads your application answers together with available outside data​ to assign what type of risk you are. What Data Will Determine Your Approval? 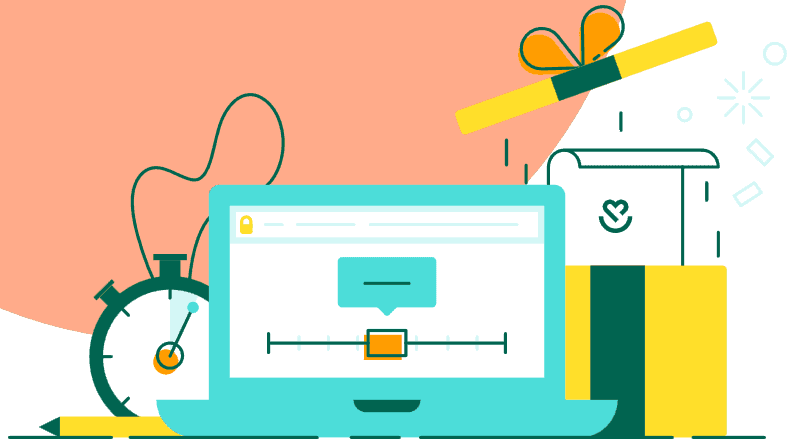 The products that Bestow offers relies heavily on data vendors. ​​They take the information from identifying verification, prescription history databases, motor vehicle reports and financial data vendors to make a decision about how risky you would be as a policyholder. They then take that risk and place it in a few different groups like super healthy, above average, average, or below average. This risk assignment then determines your price on a month to month basis. The data vendors ​that Bestow works with adhere to and are compliant with regulations that make sure your data is used securely and responsibly. MIB Report - ​This report which was previously named the Medical Information ​​Bureau ​is​​​ a group of member insurance companies that share data based on when you last applied for life or health insurance in the past 7 years. This report is used to determine if you have been declined for insurance in the past or if you have any medical conditions not disclosed on a current application. ​Prescription History Report - This report is used to check your prescription drug history against your application and how you answered your questions. If you say you aren't diabetic but you take diabetic prescriptions the algorithm will catch that discrepancy. Motor Vehicle Report - This report is used to check your driving history to see if you are a risky driver or if you have a history of reckless driving like DUI's or DWI's. You will be presented disclosure notices that ask for your consent before any data is ordered. ​So that you understand what information is being pulled​, I encourage you to read these notices and reach out to ​Bestow's Customer Care Advisors if you have any questions. 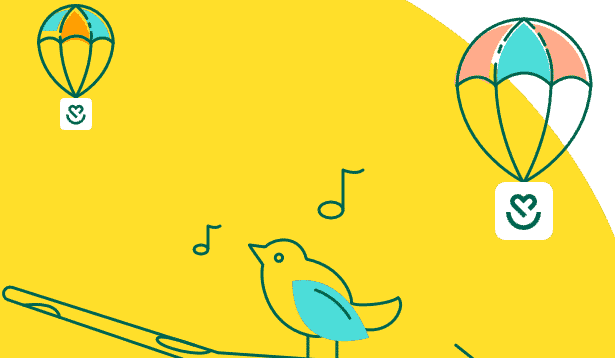 ​Bestow has worked with ​their insurance partners, designers, and engineers to design an extremely user-friendly application process for life insurance. The application begins by checking if you are a real person (no robots), followed by questions about your health and lifestyle. ​They make sure your information is protected with encryption, and ​they do not sell your personal information to third parties. Once ​they have enough information, if approved, ​they recommend a coverage amount and monthly price that makes the most sense for you. You can also decide to choose your own coverage amount and term length. Just to give you an idea, below I wanted to compare one of the most popular plans out there with multiple carriers. A 20 Year, 250,000 Term Policy for a 33 year old male in perfect health and a non-tobacco user, see the results below. GET YOUR NO EXAM QUOTE TODAY 100% ONLINE! ​As you can see, Bestow is right in line with the pricing of ​all the heavy hitters in the life insurance industry. However, with Bestow instead of having to deal with an exam or wait weeks for an answer, you can be covered within minutes. ​Right now, the fastest way to file a claim with Bestow is to call ​them at 1-833-300-0603 to speak with one of ​their Customer Care Advisors. There are a few exclusions when paying a life insurance claim. The exclusions include death from suicide (within the first 2 years of coverage), and high-risk activities like scuba diving, automobile or motorboat racing, and mountain or rock climbing. Also, operating or learning to operate an aircraft as a student, pilot or crew (excluding commercial pilot). As always, please read the policy specifics when it arrives in the mail; however, those are some general exclusions which is industry standard for most policies. Bestow is now available in all states except NY. 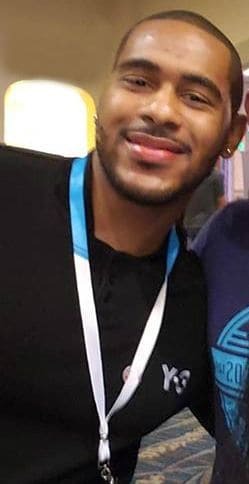 Bestow is going to head a foundation that will support families who have recently lost an income earner but didn’t have a life insurance safety net. Backed by Bestow, ​their members, and partners, the Bestow Foundation ​will be committed to restoring hope and stability. ​They haven't opened the foundation as of yet, but when it ​begins we will be sure to update this post with how to support it and become a beneficiary of it. No other Bestow Life Insurance Reviews are as long as mine; however, I wanted to make sure that I gave as much detail as possible. If you have been holding off on buying life insurance for any reason, I say give the 2 Year Term and 30-day free look period a shot. With the accelerated underwriting process, you no longer have to be afraid of the life insurance buying process, it's so fast, you won't realize it's over, and your coverage has started. As I stated above, you get 30 days after you have been approved to look over the policy and decide if it's the right thing for you and your family. *Disclosure - Bestow policies are provided by North American Company for Life and Health Insurance®. Limitations or restrictions may apply.